This is what happened when Renault was going through one of its off-the-wall phases and decided to stick a V6 engine into the Clio supermini. It wouldn’t fit in the front, so the rear seats had to come out, and a 3.0-litre motor slotted in above the rear wheels. It’s a hot hatch that was described as a ‘classic’ even when it was new – with many astonished that it even made production. The first-generation model developed a reputation for being particularly lairy, while the phase-two cars (like the one tested here) had some input from Porsche and are more desirable. 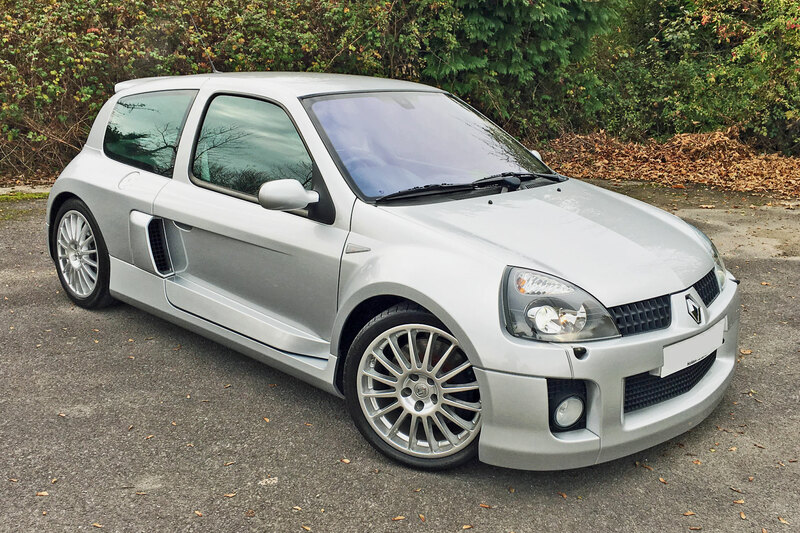 The Clio V6 was the fastest hot hatch money could buy when it was new. Potential buyers might also consider the Alfa Romeo 147 GTA or SEAT Leon Cupra R, but neither were anywhere near as bonkers as the Renault. In reality, it was closer to being a Porsche 911 in a supermini body than a hot hatch. The Clio V6 was launched at a time when mainstream French cars were available with a 3.0-litre petrol V6. It was already used in models such as the Laguna, Vel Satis and even Espace people carrier, not to mention the Peugeot 406 and Citroen Xantia. By the second generation model, power had been boosted to 255hp, thanks to a revised cylinder head and induction system. First impressions: this feels like a 12-year-old Renault Clio. 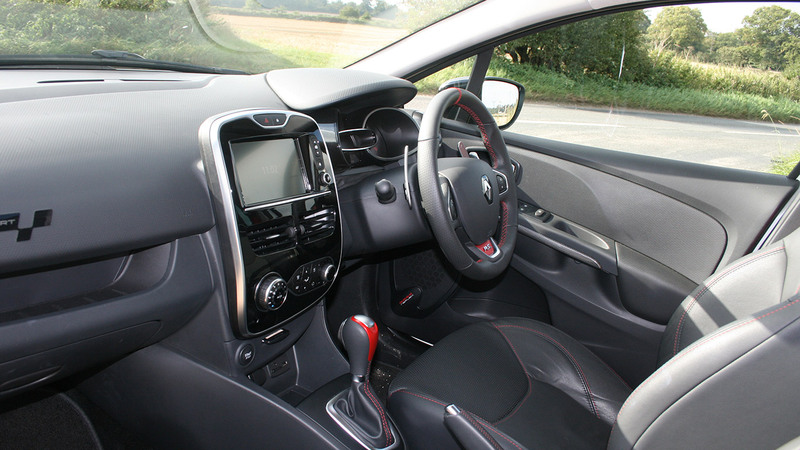 The interior is drab, while you sit far too high up – but that’s all par for the course when it comes to hot hatches. Start it up and the sound isn’t exactly thunderous, either. It only starts to feel a little special when you put your foot on the clutch and select first gear. The clutch is Land Rover Defender-heavy, while the gearbox feels snickety in a way you don’t expect from a Clio. Pull away and – huge turning circle aside – it all feels a bit, well, ordinary. There are creaks and rattles (and bear in mind this is a cared-for 20,000-mile example), the steering seems surprisingly light and uncommunicative, while you keep telling yourself that it’ll make up for it as soon as you hit a stretch of national speed limit road and open it up. Does is get better? Well, sort of. It sounds good as you (slowly) rev towards its 7,500rpm redline, but the performance isn’t up to the standard of modern hot hatches. It’ll hit 62mph in 6.0 seconds – an astonishing figure back in the early noughties, but something we’re all too used to now. The V6 feels lazy by today’s standards, too. It’s just not as frantic as you might expect from its appearance. At least, being mid-engined, there’s none of that torque steer we associate with hot hatches of this era. It feels like it has an abundance of traction, and the later models don’t have the same reputation for being a handful that the early ones did. Unfortunately, the manic excitement promised by its looks doesn’t really come. 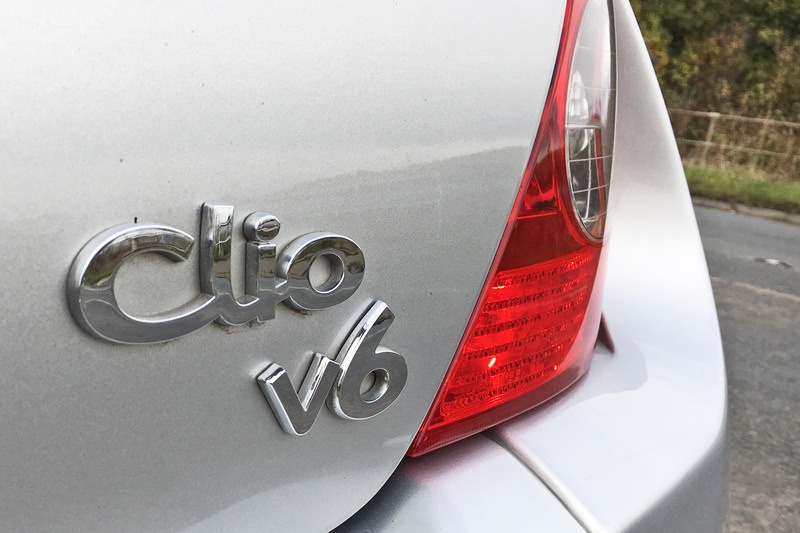 Period reviews of the car suggest it takes a little time to get into the rhythm of the Clio V6. And being spoilt by the instant gratification of modern hot hatches probably doesn’t help its case in 2016. It didn’t leave us buzzing with exhilaration, though. The Clio V6 isn’t as unreliable as you might think, although finding a good specialist willing to work on it might be tricky. The position of the engine makes DIY maintenance difficult, and insurance companies are likely to be a little wary if you’re young or have a number of crashed hot hatches to your name. You’d be lucky to achieve 20mpg and a tank will be emptied in less than 300 miles, meaning it’s more of a B-road blaster than a continent crosser. With prices as strong as they are (and rising), and numbers of the later 255 model hovering at around 150 on UK roads, it’d be a shame to drive one of these every day. And why would you want to, frankly? 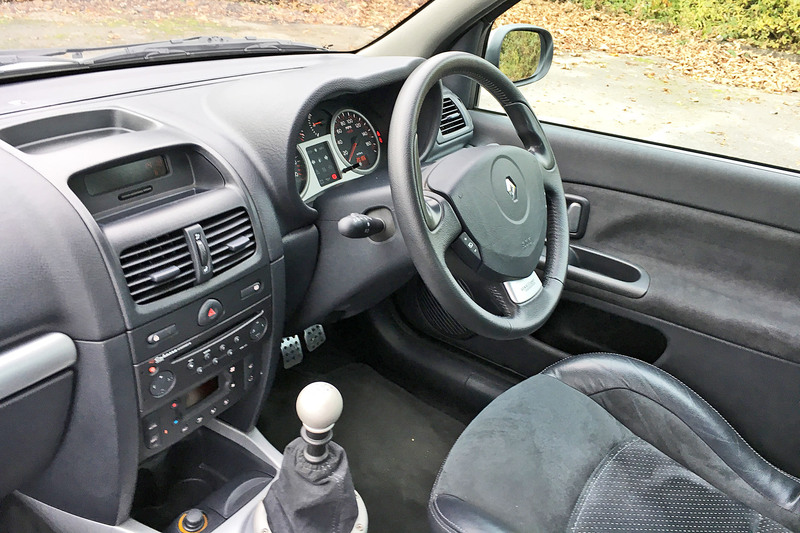 The interior is pretty grim for spending a large chunk of your life in, and the novelty factor of driving a two-seat mid-engined Clio every day would soon get boring. If you want a sports car as a daily, buy a Porsche Cayman. A Clio V6 is best kept for occasional use. Or just to admire in the garage. If you’re after one, this example we’ve driven is currently on sale at 4 Star Classics for £34,995. For that money, you expect the very best – and, to be fair, this is probably it. With just 20,000 miles and not a mark on its bodywork, it could be a safe investment, even at nearly £8,000 more than its retail price when new. A budget of slightly more than £20,000 will pick you up an early phase-one model (these have a reputation for being even friskier, so be careful), while a useable phase-two can be bought for around £28,000. Obvious ones are signs of abuse and crash damage. Even the latest V6 Clios are more than 10 years old now, and in Renault hot hatch years that’s a long time if it’s been ragged from cold, missed services and chucked into the odd hedge sideways. With the engine where it is, even checking the oil isn’t particularly easy, so some owners just don’t bother. Take it for a good test drive. Do all the gears select easily (if not, there might be synchromesh issues), and do the brakes stop the car in a straight line without any untoward noises? Inspect the bodywork – damage can be pricey to fix – and check the wheels for signs of kerbing. The slightest nudge can knock out the tracking. A budget of £35,000 buys you a lot of car. You could treat yourself to the brilliant Ford Focus RS, fresh out of the factory, and have a couple of grand left over. Or, on the secondhand market, how about a mint Lotus Exige, a more useable Porsche Cayman, or even a three-year-old BMW M3? None of these have the novelty factor of being an ageing French supermini from a time when Renault was bonkers enough to use a mid-engined V6. Do you want to be different that much? Only you can make that call. 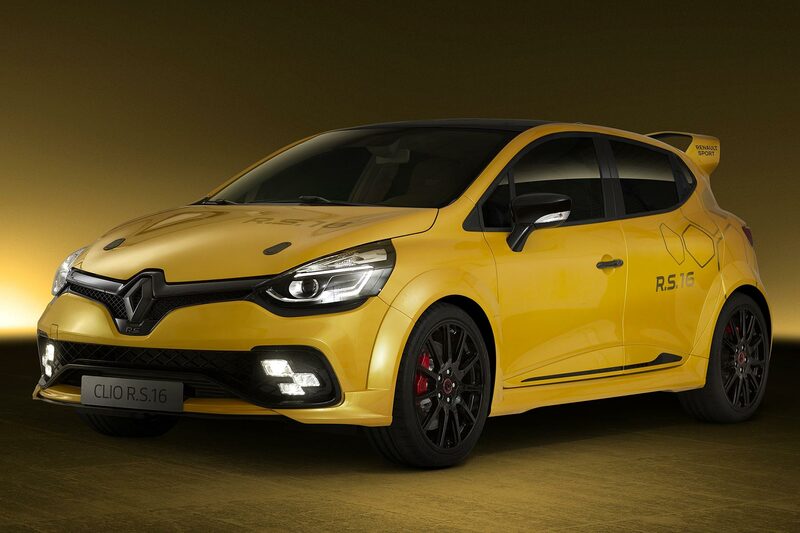 Renault has revealed an amazing Clio Renault Sport R.S.16 hyper-hatch at the Monaco Grand Prix that packs a 275hp 2.0-litre Megane R.S. engine into a Clio hot hatch bodyshell to tantalising effect. Created to celebrate 40 years of Renault Sport, the skunkworks Clio has been created by a 10-strong ‘commando’ team in just five months, following a brainstorming session one evening at Renault Sport HQ. That’s right. 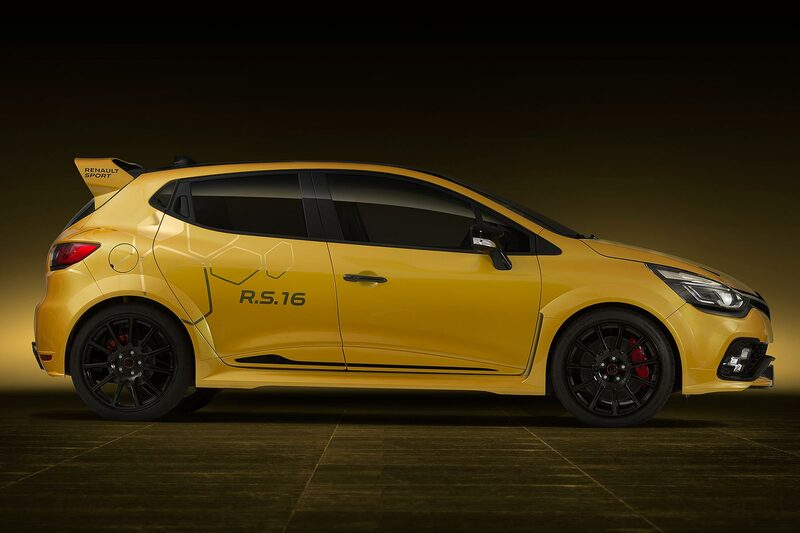 From the start, Renault Sport created the Clio R.S.16 not as a crazy concept, but as a production-intent car. The 275hp hot hatch supermini really is likely to go on sale later this year. Renault Sport MD Patrice Ratti said in one sense, the concept was simple. Renault’s most powerful engine is the 275hp 2.0-litre turbo from the Megane R.S. and fitting this to the Clio was “an attractive proposition”. We should say so. It took a month to investigate whether it was feasible: by November 2015, engineers confirmed it would indeed fit. The entire engine, manual gearbox (rejoice!) and cooling system from the Megane R.S. 275 Trophy-R is thus fitted to the Clio R.S.16, complete with parts sourced from other Megane models plus the Kangoo and even the Espace. A genuine skunkworks project. The exhaust is new too – Renault couldn’t change the routing or length, despite the Megane being a much bigger car. Enter experts from Akrapovic, who created a bespoke twin-exhaust silencer for it. Renault has also fitted the lithium ion battery from the Megane R.S. 275 Trophy-R, which both saves space in the engine bay and a full 15kg over the front axle. Racing suspension for the Clio R.S.16 – literally! A short timeframe and the radical demands of stuffing such a big, powerful and torquey engine into a Clio created untold demands on the suspension engineers. Enter 35-year Renault Sport veteran Pascal Auffrere, who was given the project “because I’ve been here for such a long time”. He worked on rally cars until the 1990s before moving onto the first Clio Renault Sport model, the 172. At the front, a new stub axle cut from a solid aluminium block is fitted to the PerfoHub independent steering axis suspension, but it’s even more exotic-sounding at the rear: the FIA-approved rear axle from the rallying Clio R3T is used, reinforced by joint-welded bulkheads. This has 50% more roll stiffness: good enough to cope with the roughest of gravel rallies so “we are therefore certain it will provide Clio R.S.16 with good road-holding on public roads,” said Chapelain. Renault’s also fitted the Megane R.S. 275 Trophy-R’s adjustable dampers, and the 350mm brakes as used in the optional Nürburgring pack offered on the car. As for the wheels, they’re 19-inch rims with Michelin Pilot Sport SP2 tyres. The Clio, however, was originally only ever designed to take 18-inch wheels. So Renault cut away the wheelarches and fitted 60mm-wider composite wheelarch flares. Again, skunkworks! The rear is as per the regular Clio 200 Turbo, save for the addition of a spoiler from the Clio Cup. This is functional, adding 40kg of downforce at 124mph. Up front, the front splitter has been redesigned, to better channel air into the Megane’s air-to-air exchanger. 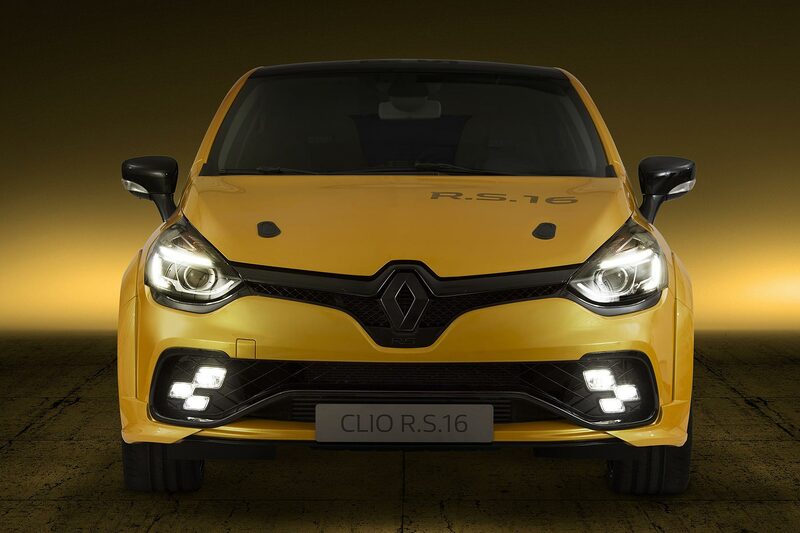 Renault’s painted the Clio R.S16 in the same Liquid Yellow paint as the RS16 F1 racer, complete with gloss black detailing that mimics the Renault racing car. There are F1-style graphics too, with Renault Sport markings on the roof and a pixellated Renault diamond logo on the rear. 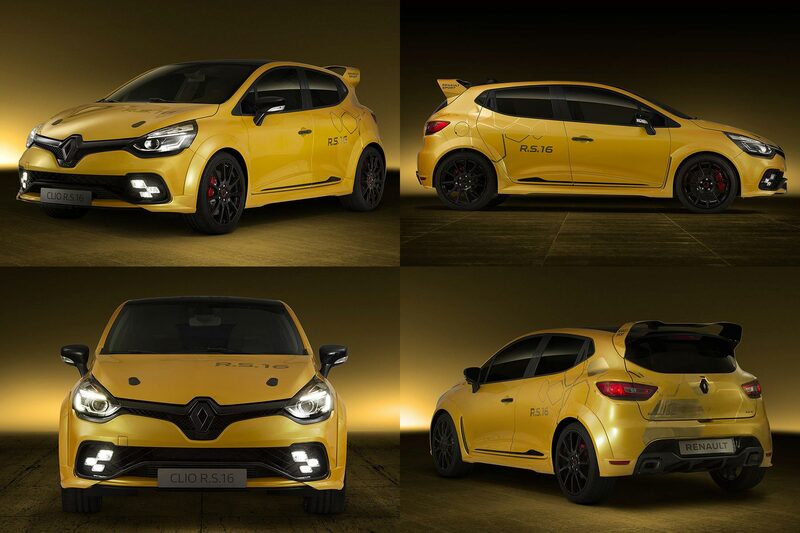 Following its debut at this weekend’s Monaco Grand Prix, Renault will bring the Clio R.S.16 to the Goodwood Festival of Speed on 23-26 June, where it will be keen to make the link to other mad-cap Renault creations from the past: the 5 Turbo, Clio V6, Renault Sport Spider, Megane R.S. R26.R and Megane R.S. 275 Trophy-R. 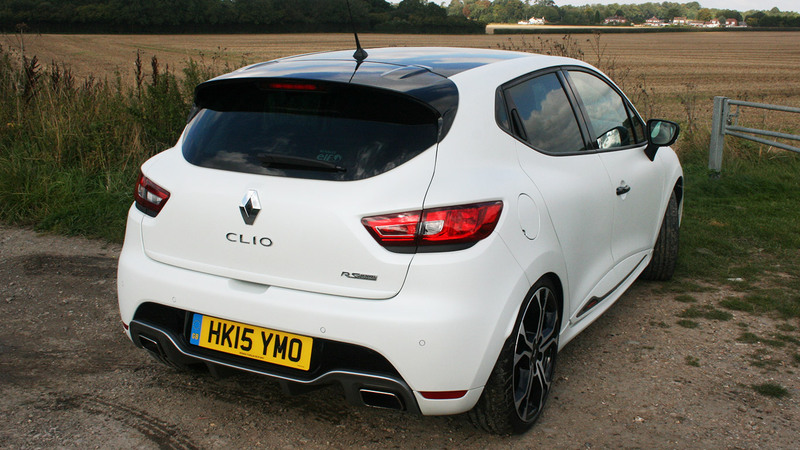 Harder, faster, stronger – but is Renault’s new Clio Trophy better? 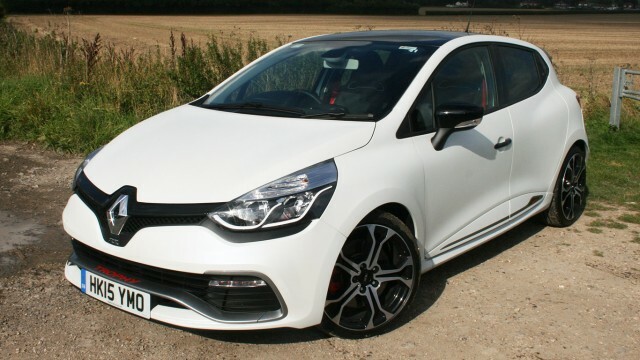 Renaultsport Clio 220 Trophy: What is it? 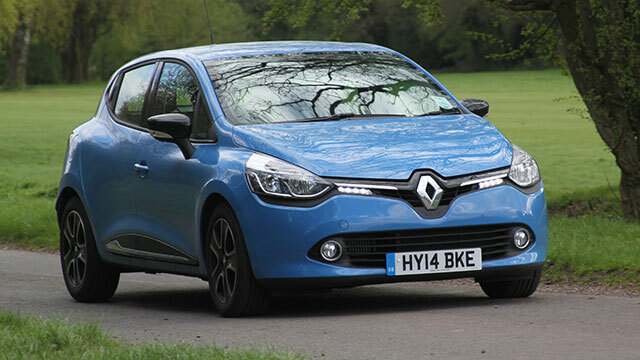 Stung by criticism of the standard Clio 200 hot hatch, Renault has responded with the Clio 220 Trophy. As its name suggests, it boasts an extra 20hp, plus 40% stiffer suspension, sticky Michelin Pilot Super Sport tyres and a quicker-shifting semi-automatic gearbox. Can the Trophy restore Renaultsport’s reputation? Renaultsport Clio 220 Trophy: What are its rivals? The Ford Fiesta ST looms large over this sector, but the Clio also faces strong competition from the MINI Cooper, Peugeot 208 GTI and Volkswagen Polo GTI. The MINI is characterful but expensive, the 208 is at its best in pricey Peugeot Sport spec and the Polo is perhaps a tad civilised for its own good. And the Fiesta? It’s a modern classic. 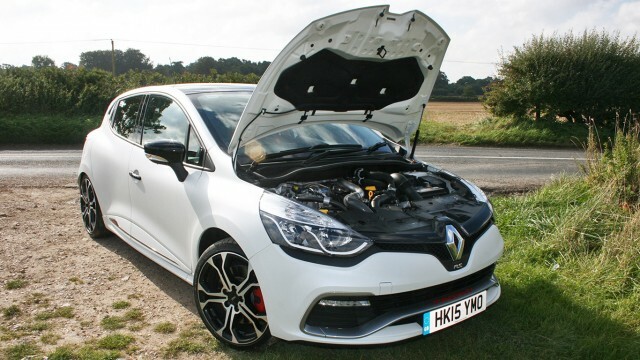 Renaultsport Clio 220 Trophy: Which engines does it use? The Clio packs a 220hp 1.6-litre turbocharged engine mated – controversially – to a six-speed dual-clutch automatic gearbox. There’s no manual option. Use the launch control and it sprints to 62mph in 6.6 seconds, with a top speed of 146mph. Renaultsport Clio 220 Trophy: What’s it like to drive? 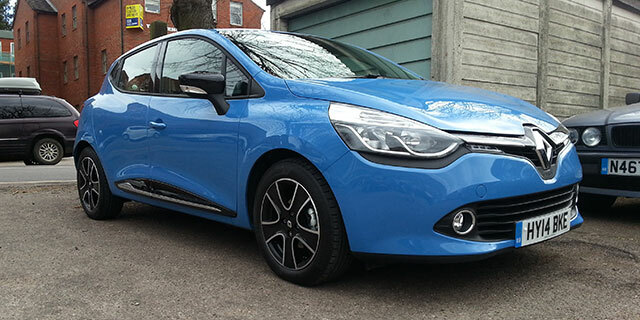 A big improvement on the standard Clio 200. In fact, on the right road, the Trophy comes close to brilliance. It turns in eagerly, and there’s no shortage of grip from the track-biased tyres (well, on dry roads at least). The EDC ’box blats through the gears and you can press and hold the paddle for multiple downshifts at once – Ferrari F12-style. However, when you’re not ‘on it’ in R.S. mode, the Clio feels decidedly ordinary. Its jittery ride that could prove wearing on longer journeys, too. Stay away from launch control, R.S. mode and all the other things that make this Clio fun and you could manage a respectable 47.9mpg. CO2 emissions of 135g/km mean annual car tax (VED) of £130 at 2015 rates. 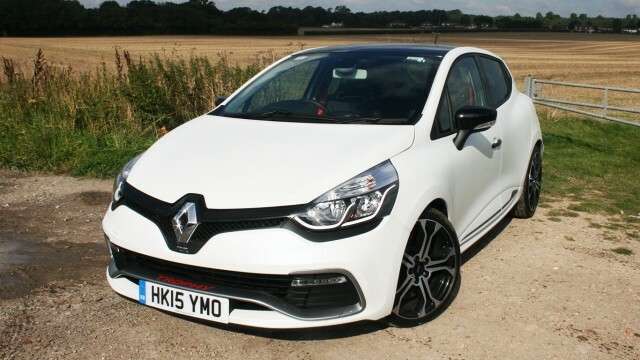 Renaultsport Clio 220 Trophy: Is it practical? The current Clio is only available with five doors, and its 300-litre boot is one of the biggest in the class. It’s still on the small side for a family car, though – and we wonder how well its flimsy interior would stand up to repeated school runs. On the plus side, Renault offers a generous four-year/100,000-mile warranty on all new cars. Renaultsport Clio 220 Trophy: What about safety? Safety is one of Renault’s strengths, and the Clio in no exception. It gained a five-star rating in Euro NCAP crash tests and scored an impressive 88% for adult occupant safety, plus 89% for child safety. 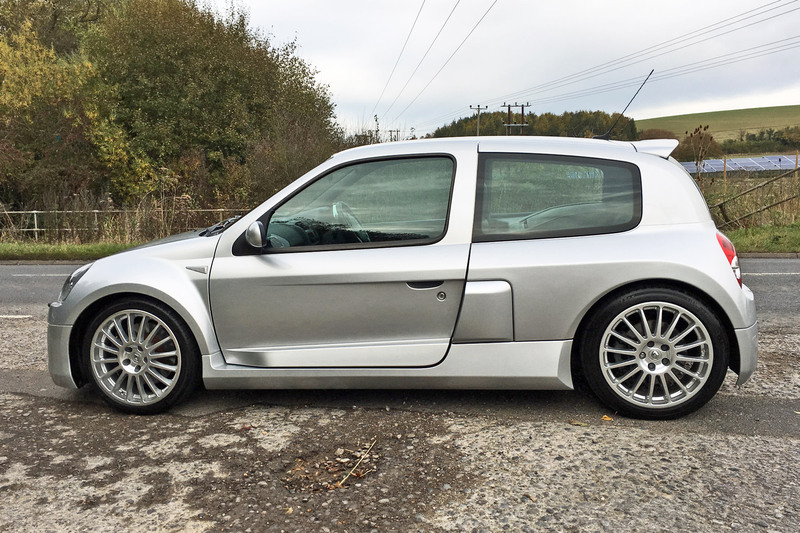 Renaultsport Clio 220 Trophy: Which version should I go for? If your heart is set on a Renaultsport Clio, the Trophy is the one to go for. It costs a hefty £2,650 more than the regular 200, but feels markedly more focused and fun to drive. Just be wary of pricey extras, such as the matte white paint of our test car (£1,300). 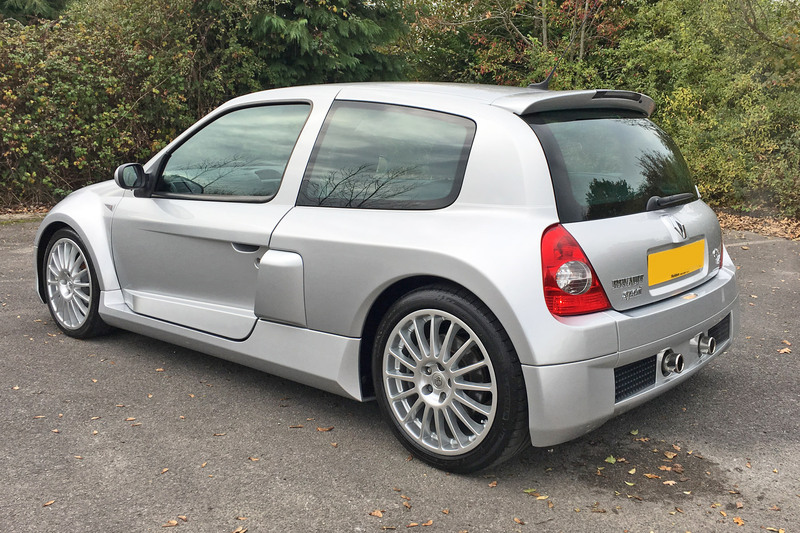 Renaultsport Clio 220 Trophy: Should I buy one? You know what we’re going to say, don’t you? The Clio 220 Trophy is good, but it isn’t ‘Fiesta ST good’. While the Renault only really comes alive at ‘maximum attack’, the Ford simply feels special all of the time – whether you’re pottering or pushing it. The fact that the Fiesta costs up to £4,000 less than the Clio seals the deal. Even in top ST-3 spec, the Fiesta is still £2,000 cheaper. Renaultsport’s factory in Dieppe will soon become the venue for the rebirth of Alpine – a long-defunct French sports car manufacturer that used Renault engines. The forthcoming Alpine sports car may share its platform with the Nissan GT-R. Problems in paradise – has Sean fallen out of love with the Clio? 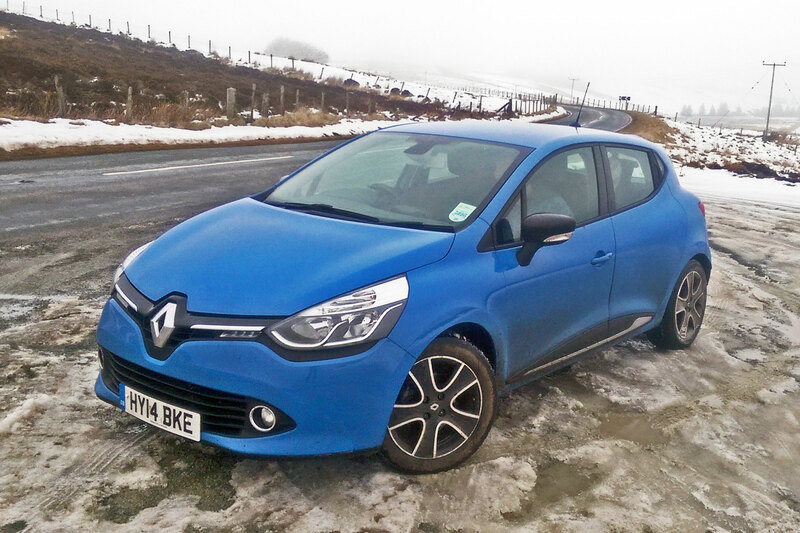 If you’ve seen any of my recent updates here on MR.com or over on MSN Cars, you’ll know of my love for the little blue baby – sorry, my Renault Clio long termer. However, last week, the relationship soured slightly. The Society of Motor Manufacturers and Traders in the UK holds an annual test day every year at Millbrook, where carmakers gather to let journos try their latest wares. I was due to pick CJ up en route to Bedfordshire – however, when I fired the Clio up that morning and tried to punch in his postcode, I was met by a sat-nav system that was still asleep. I eventually managed to get the address entered, but the map simply wouldn’t display – all I was left with was a scrolling wheel and a blank, red screen. Now that’s not very helpful at the best of times, but when you’re late and are leading another car to your destination – at which there are delicious bacon sandwiches waiting for you – it’s a real pain. 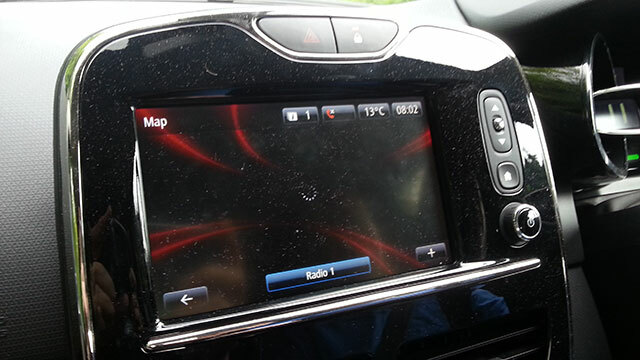 We had to resort to a Google’s navigation app on CJ’s phone… and this after I’d been singing the praises of the Clio’s user-friendly, reliable multimedia interface to everyone and anyone who would listen. After a full day parked up, I thought the problem might right itself. I was very much mistaken. In the end I had to perform a full factory reset to get the big-screen map back, which meant losing saved data like radio station pre-sets, favourite destinations, and speed dial Bluetooth phone contacts. It didn’t take all that long to re-input this info, but it was just a touch annoying. I’m sincerely hoping this is a small blip in what’s so far been a great pairing. With nearly 4,000 miles showing on the clock already, I’ve had no issues with the Renault and got to know it very closely indeed. I’m hoping our partnership continues without any more hiccups. In a week since the Clio was delivered, I already managed to improve the frugal dCi 90 engine’s average fuel economy from just over 50 to more than 70mpg. Despite those quite impressive numbers, I was pretty determined that I could at least break the 80mpg barrier and find another 10 miles for every gallon of diesel the little Clio sips. I am delighted to say I was right. OK, I’ll get the excuses out of the way first – the 81.4mpg total I averaged was for one 180-mile journey between Chester and St Albans. That means mostly motorways and A-roads – some with 50mph average speed checks – so nice steady speeds and constant throttle applications. Conditions conducive to eco driving, then. All the same, apart from the areas where it legally had to, my speed didn’t really drop below 70mph. 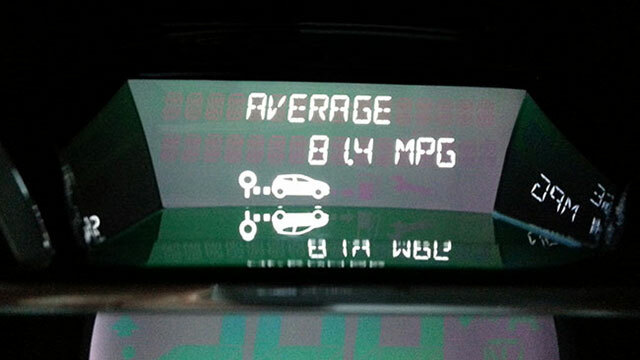 I’d say I had one eye on being economical, but that I wasn’t really trying to hypermile. Which makes it all the more impressive that I could get within 8% of Renault’s claims for the car. To put it into perspective in terms we can all understand, it means at an average price of 135.9p per litre of diesel, that journey set me back me just £12.48. To top it off, I’m getting easily around 650 miles per tank. Combined with free road tax, you really can’t complain about running costs like these. I said I was well and truly in love with the Clio last time round – that’s most definitely still the case. This is a First 5 Minutes with a difference. One, because my first five minutes with this Renault Clio in question didn’t involve so much as the turn of a wheel or the dip of a clutch, and two, because this is my Renault Clio. 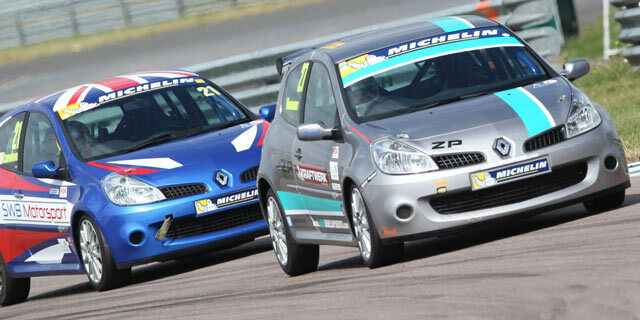 Fancy yourself as a racing driver? Silly question, right? But for the small matter of the small fortunes involved, that is.